After rushing around to every single Royal Bank of Scotland branch in North London, looking for one that was open so that I could pay my rent before the deadline, I was finally successful in Kensington High Street. It was only 1.30pm on Saturday, and I faced the rest of the day with absolutely nothing planned. So, in an attempt to shake off the ill feelings I've been having towards London the past few days, I decided to take a stroll. Today just also happened to be the day my mobile data ran out, and deciding I could survive two days without it before it kicked in again on the 1st, I was reduced to planning my route without technology. Ah, well, not exactly. Feeling like my 2012, wifi-hunting self again, I popped into Starbucks and used their wifi to figure out how far I was from my favourite London landmark. What's that, you may ask? Buckingham Palace? Big Ben? Perhaps Oxford Street counts as a landmark? Wrong on all three counts. 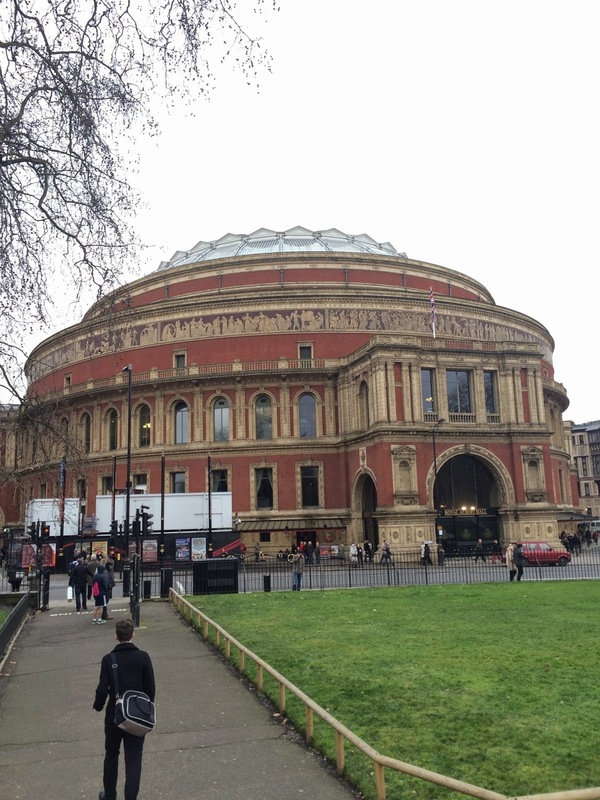 It's the Royal Albert Hall. If you know me, there's no need to ask why. If you don't, it's because I credit this building with being inextricably linked with the reason I ever visited London in the first place, and so I feel a great emotional attachment to it. Anyway, RAH was a 21 minute walk, and off I set, eventually thinking I was really smart and taking a quick shortcut down a quaint street. Now, after strolling for 30 minutes, encountering the tiniest baby pug I have ever seen as well as several Rolls Royces, I emerged back on the main street (ha ha) about 200m from where I began. Fail. RAH was now 15 minutes away, but thank goodness the rain managed to hold off, and I got to behold my favourite building and take a number of highly unsuccessful selfies. I toyed with the idea of a stroll through Hyde Park fo several minutes. 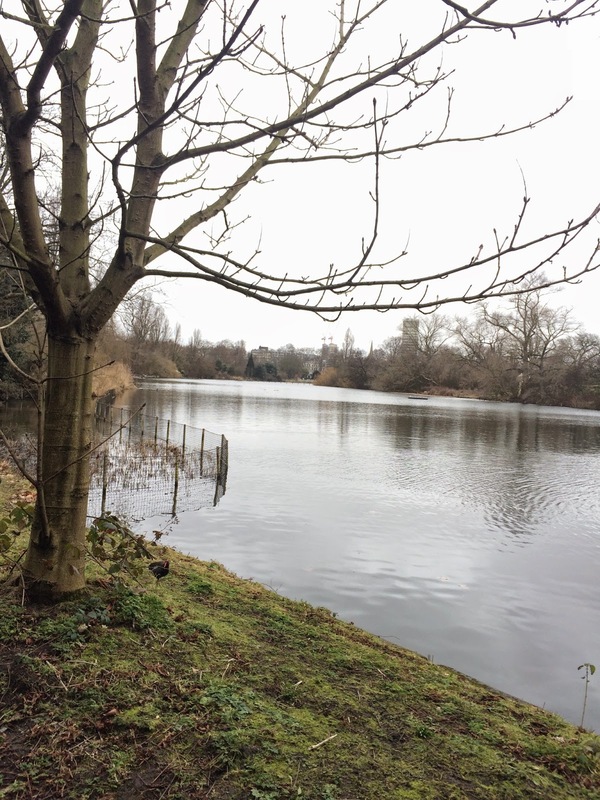 It seemed that the best idea would be to hop on the nearest Tube and get straight home before the rain really came down, but instead I took the nearest path in the opposite direction, and meandered through Hyde Park, down by the water for another hour. It was difficult, in the gloom and threatening rain, to imagine the first time I'd been here, almost three years ago, in the brilliant August sunshine. And then suddently, something seized me. I don't know what it was, but in that moment it was 2012 and I could smell Reading (not physically smell it, Reading smells like a combination of vodka and poop) but something in the air told me that I was here in my favourite city to see my favourite bands and life was so exciting and.... within seconds the feeling was gone, try as I might to hold onto it. Anyway. I gave up and took some photos of the swans. At the gates ot Hyde Park, I once again bypassed the Tube, and set off down the road towards Harrods, just for fun. I passed the store and the nearby M&S, and reminisced about how I'd sat on a bench at the side of hte road and eaten my pasta salad before hopping back on the tube and taking a stroll along the Thames, way back in 2012. Things feel so different now. I don't know if the day, as a whole, did me good or bad. I love London more than anything in the world, but I'd do anything for it to feel the way it did the first time.